In El Shaddai: Ascension of the Metatron you are guided by a pre-fall Lucifer who carries a cell phone with God on his speed dial. Inspired by the Old Testament's Book of Enoch, you star as Enoch himself, a human called to heaven in order to help God round up seven fallen angels in order to prevent the flood that would wipe out mankind. The result was an oddly beautiful, and unique game. And it looks like there is going to be more of it. A teaser website launched, with the tagline: "Who is the greatest angel according to God?" 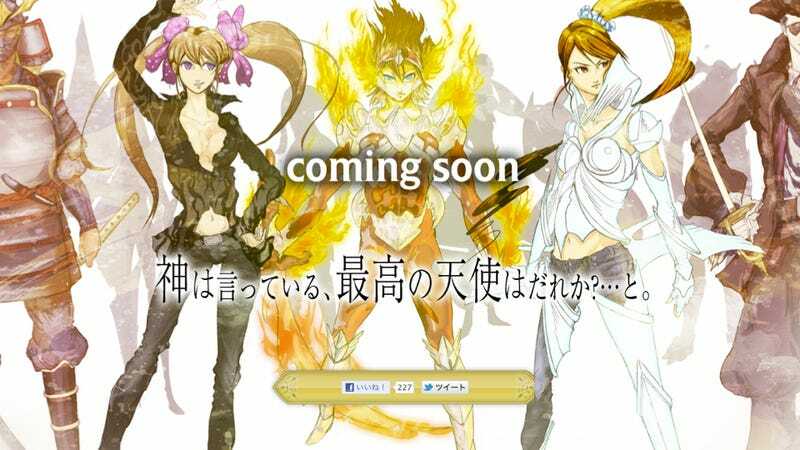 The website reads "El Shaddai new project website is open" under the section marked "update". So look forward to El Shaddai resurrecting itself sometime in the future!